The widespread devastation and hardship experienced during the 2017 hurricane season and the plethora of fierce western wildfires underscore the potential forces of nature as well as the chaos that can result from wide area disasters. Even with time to prepare, the hurricanes and several of these wildfires quickly exceeded the capabilities of government and civilian resources. Wide area emergencies occur constantly. While most are not nearly of the scope and breadth of hurricane Harvey, others such as wildfires, flash floods and earthquakes can occur with little or no notice. These events may not encompass massive geographical areas, but they can challenge local resources and citizens to respond effectively. Furthermore the impacts suffered by those individuals who find themselves in these emergencies can be just as serious. 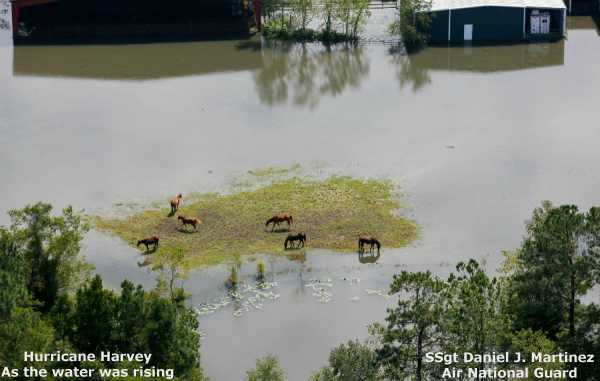 animals and their horse trailer under water, so they required assistance. Emergency responses are typically well pre-planned and well organized, with specific resources acquired and training provided in order to meet anticipated community needs... at least to the extent that budgets will allow. When an event exceeds local agency capabilities, pre-planned aid systems provide for the orderly infusion of out-of-area assistance. Activities at street level may appear chaotic depending on the intensity of the event, however the system is designed to minimize disorder and maximize control over incident response activities. A great deal of effort and planning go into organizing law enforcement, fire/rescue and search and rescue responders in order for them to effectively work together during major incidents. In most jurisdictions far less attention is paid to successfully integrating stakeholders and trained competent volunteer resources for effectively addressing immediate livestock issues in emergency situations. Such issues are described in FEMA and some state and local documents, but are often found to be lacking at "street level." There is also a paradox at play. 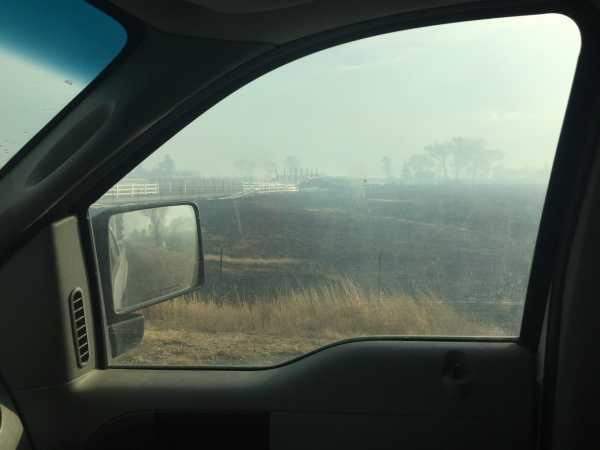 In a wildfire situation, for example, fire crews can be seen applying significant effort in protecting an old shed while comparatively little attention is given to protect proportionately much higher valued livestock from products of combustion and other threats. To be fair, fire fighters are trained to protect structures and natural resources. When confronted with too many simultaneous objectives they tend to address incident elements for which they are trained and understand. Stakeholders and other volunteers who are experienced in handling and moving livestock may have significant relevant experience in those areas, but if they have not been trained and/or are simply not recognized as having been trained to operate safely and compatibly alongside regular emergency personnel, they are often not considered to be viable resource assets by commanders who have higher priorities to deal with. Furthermore, in several states supervisory personnel have a legal responsibility for the safety of all persons operating at an incident, including volunteers. Thus comes the disconnect where resources needed to protect valuable property often become effectively sidelined. Then there is the human factor that must be considered. These are not just animal emergencies. They are often human emergencies. A survey by the Humane Society of the United States found that 89% of pet owners would risk their personal safety to rescue their pets in an emergency. 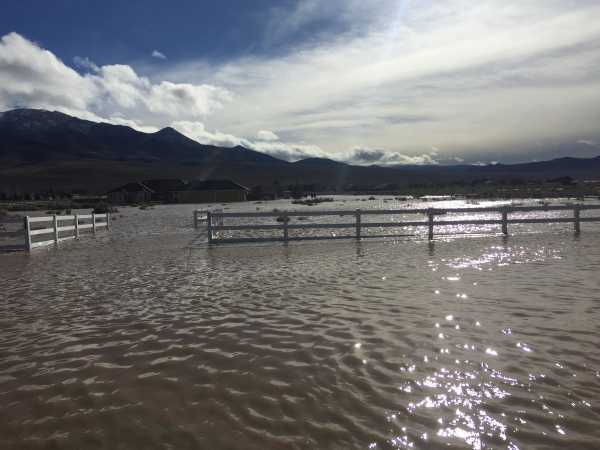 "Agricultural businesses with a larger amount of livestock – cattle or sheep ranches, dairies, commercial horse facilities and others – should have their own evacuation plans, often collaborating throughout the region with similar businesses. This is often organized by a government agriculture agency for operational area pre-planning. That preplanning may identify some of the commercial facilities, large ranches, etc., as alternative large animal shelter sites for their region. 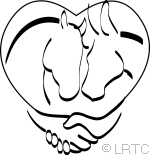 To provide assistance for large animal evacuation and sheltering – often mostly horses - most operational areas develop dedicated local resources primarily consisting of trained volunteers. This might be preplanned through local agriculture or animal control agencies, but planning should be addressed with consideration for resources that might be utilized for both personal (small plot) and commercial large animal evacuation and sheltering. 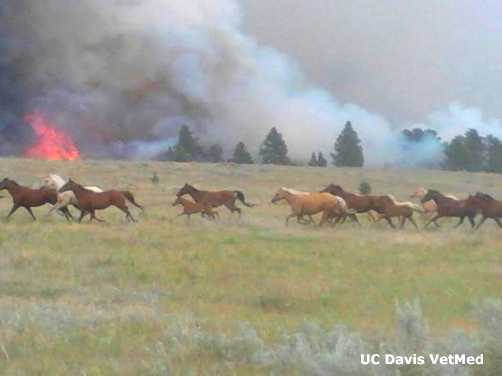 "In general, trained volunteer resources are key assets for smaller acreage large animal evacuation and sheltering, but may also be useful for evacuation of large animal businesses in addition to assisting with small domestic animal evacuations. 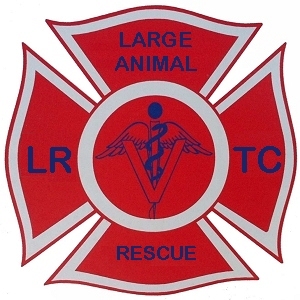 "For clarity, while the large domestic animals are being removed from a dangerous environment by the evacuation process, and in the incident command structure this process would be under the Animal Rescue Group, local trained volunteer teams performing the evacuation may not be trained or equipped for actual rescues involving challenges like physical extraction of trapped or otherwise immobilized or inaccessible animals. Technical rescue is an additional and more advanced skill set also requiring additional equipment, as is animal rescue in water involving boats. 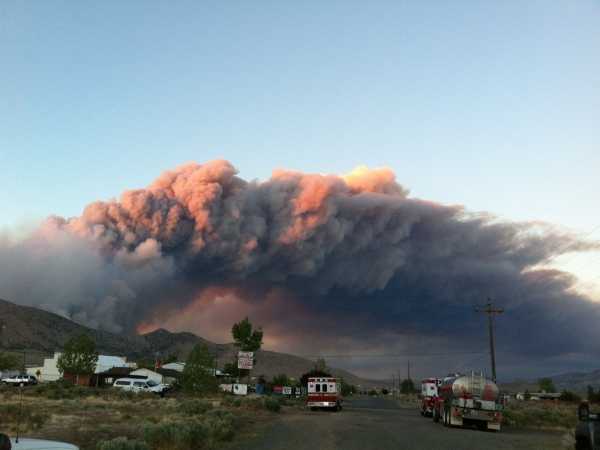 Management requesting aid from a nearby region will need to specify additional training and capabilities if expectations go beyond basic “load and go” evacuation operations. Out of area resources can be expected to have higher levels of training and equipment if requested using FEMA Resource Typing. 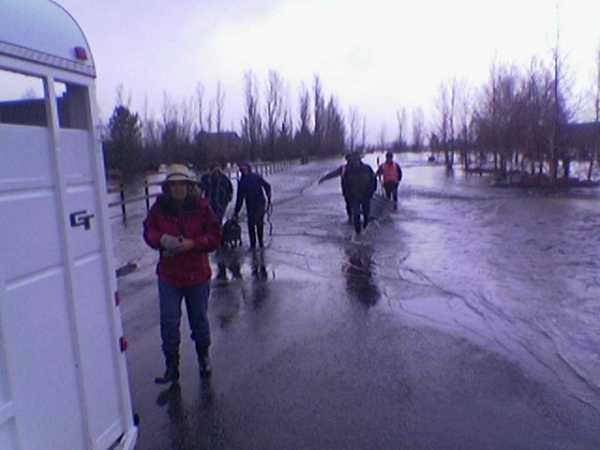 "The typical local large animal evacuation team is trained and equipped to load domestic livestock in trailers and transport with related documentation to the designated shelter, which is an invaluable capability. Personnel may be trained to staff a large animal shelter. Those with trucks and/or trailers may be useful in various incident logistics, not limited to supporting animal needs. Experienced management personnel from other resources may need to be assigned to coordinate field operations or shelter management until the trained volunteers gain that experience. Realistic expectations should be established based on the local trained volunteer responders’ actual capabilities, understanding that those capabilities may evolve over time." If we live in a region that contains a great deal of small plot livestock, why have we (in general) not more effectively addressed this issue?